Enjoy this little freebie to go along with your sink and float unit. It's great as a formative assessment before doing experiments, as a review after the unit, and perfect to add to your science journals. 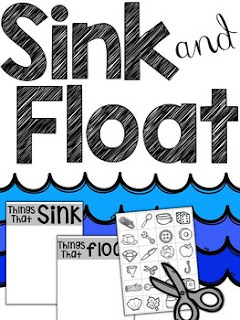 Be sure to check out my SINK & FLOAT SCIENCE ACTIVITIES Bundle with more activities just for this concept!